Currently lead Chemical Engineering and Process Development research at National Chemical Laboratory. My responsibilities include: identifying important research problems, formulating project proposals, leading and executing projects to achieve the set objectives, identifying needs of industry and providing appropriate solutions, creating facilities for experimental and computational research on key areas of chemical and process engineering, supervising research students and project assistants. The focus was on creating synergy among scientists working on chemistry, catalysis and process and reactor engineering to create greater value and greater impact on industry. Earlier I was leading a dynamic team of more than 25 professionals at Tridiagonal Solutions to develop computational models and software products for providing engineering solutions. At an International conference on Flowchemistry2016, 21 jan 2016 in Ramada convention centre , Mumbai, India, Pic, Dr Vivek Ranade, deputy director, NCL, pune, India. I lead chemical engineering and process development research at CSIR – NCL as Chairman of Chemical Engineering and Process Development division. A large team of chemical engineers, process chemists and material scientists work with me. I am working towards creating ambience and framework to facilitate pursuit of excellence and work with purpose at CSIR – NCL. I am attempting to consolidate various research projects and link them to national agenda and relevant purpose. The focus is on creating innovations and knowledgebase for solving relevant problems. The focus is on creating synergy among scientists working on chemistry, catalysis and process and reactor engineering to create greater value and greater impact on industry. As a deputy director of CSIR – NCL, I serve on many internal committees for establishing processes and systems for enhancing our performance. I am also a member of high level committee called STAC (science and technology administration committee) which comprises Director, NCL and a distinguished scientist besides me. The STAC decides most of the policy decisions at CSIR – NCL and advises Director, CSIR - NCL. Besides contributing to CSIR – NCL, I also serve and contribute to variety of committees at CSIR and national level. The Indus MAGIC program is aimed at developing and transferring comprehensive solutions to fine and specialty chemicals industry. More than 50 scientists from 5 CSIR laboratories are participating in this program. I have also established industry consortium (Indus CPI) as well as a student’s program (Indus Scholar) associated with Indus MAGIC (see www.indusmagic.org for more information). I established CReST at NCL to realize synergy among scientists working in the areas of catalysis, reactor engineering and separations in 2007. This essentially paved the way to formulation of a large research program Indus MAGIC described earlier. I started a first spin-out company of CSIR with couple of co-founders in 2006. The company and the team are built on ‘Compute, Innovate, Develop’ philosophy (see http://www.tridiagonal.co.in for more information). Tridiagonal develops and uses computational products to gain understanding and use this understanding to facilitate innovation and development. I have led Tridiagonal as CEO and CTO from June 2008 to May 2010. During these years, the company has secured external funding and had grown to 20+ professionals by May 2010. Currently I am Chairman of the board of Directors of Tridiagonal. Tridiagonal team (now 35+ professionals) provides engineering solutions to a wide range of manufacturing industries (chemicals, oil & gas, power, HVAC, automotive, fluid handling machinery and so on). Tridiagonal team has also developed engineering software products based on state of the art CFD technologies which have been accepted in the market. I hand-picked and developed Tridiagonal team and provided leadership. I was able to sell my dream of Tridiagonal to younger and smarter engineers to create today’s Tridiagonal. Apart from the managerial responsibilities as CEO, my responsibilities as CTO included identification and development of key capabilities and competencies; inculcate the culture of innovation in the team and helping the clients in translating concepts into reality. At an International conference on Flowchemistry2016, 21 jan 2016 in Ramada convention centre , Mumbai, India, Dr Vivek Ranade, deputy director, NCL, pune, India. Pune, Maharashtra, February 15, 2011 /India PRwire/ -- Tridiagonal Solutions Chairman of the Board, Dr. Vivek Ranade wins fellowship of Indian Academy of Sciences. He is one of the two scientists from the National Chemical Laboratory (NCL), who have been elected as fellows of the Indian Academy of Sciences, Bangalore. Tridiagonal Solutions provides performance enhancement as well as product development solutions to worldwide clients. Tridiagonal team has extensive expertise and experience in utilizing, customizing and developing a wide range of computational models and tools. Tridiagonal Solutions provides solutions and services for various industry segments including chemicals, oil & gas, pharmaceuticals, HVAC, automotive, aerospace, power generation and biomedical. Dr. Ranade is currently putting together research programmes related to speciality chemicals and energy industry. He has made significant contributions in enhancing the understanding of flow, mixing, heat transfer and chemical reactions occurring in industrially relevant flow processes. 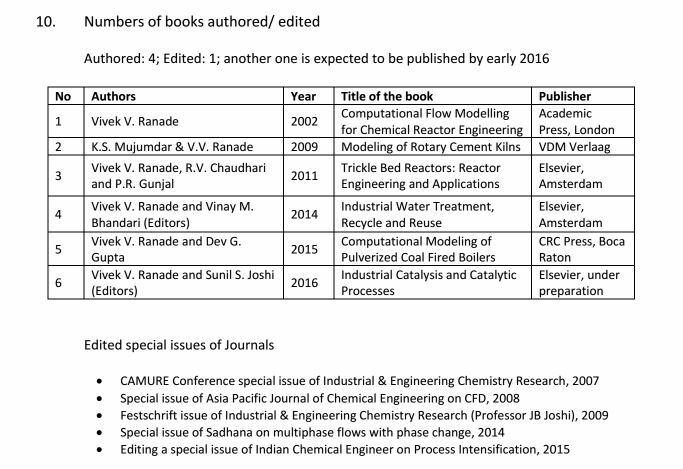 He has also written a book, 'Computational Flow Modelling for Chemical Reactor Engineering', which was very well received by the reactor engineering community worldwide. His contributions to the area of chemical engineering have been recognised with several prestigious awards and fellowships, including Bhatnagar award in engineering sciences. Shipping is the backbone of global economy and facilitates transportation of 90% of the commodities. When a ship leaves a port empty, or partially loaded, it takes seawater into ballast tanks to maintain stability and adjust buoyancy. In virtually every case, this ballast water will contain living organisms. When the ship reaches its destination and prepares to load its cargo, it discharges this ballast water, thus introducing potentially invasive species to the aquatic environment of the destination port. CSIR- National Chemical Laboratory - Main Building — at CSIR- National Chemical Laboratory. Indus MAGIC is an acronym for Innovate, develop and up-scale MAGIC [modular, agile, intensified and continuous] processes and plants. This Indus MAGIC research program of CSIR is formulated based on critical analysis and understanding of the needs of Indian fine and specialty chemical industry. Specialty/ fine chemical industry forms the backbone of industrial and agricultural development of India. Over the years, the industry has evolved from a basic chemical producer to knowledge intensive industry. The industry also exhibited healthy growth. To fulfill the demands for addressing hitherto unmet and ever growing needs as well as expectations of a rapidly developing India, the fine and specialty chemicals sector is expected to grow at nearly double the rate of growth of overall economy. These new opportunities, the sheer magnitude of projected expansion and increasing demands on sustainability require tremendous research and technology inputs to support and to realize this expected growth. The Indus MAGIC research program is planned as a first step to meet these needs and to facilitate transformation of Indian fine and specialty chemical industry. Dr. Vivek Ranade, Acting Director, CSIR-NCL honouring Dr G S Grover on his supernnuation. Interaction with eminent personalities always helps me. 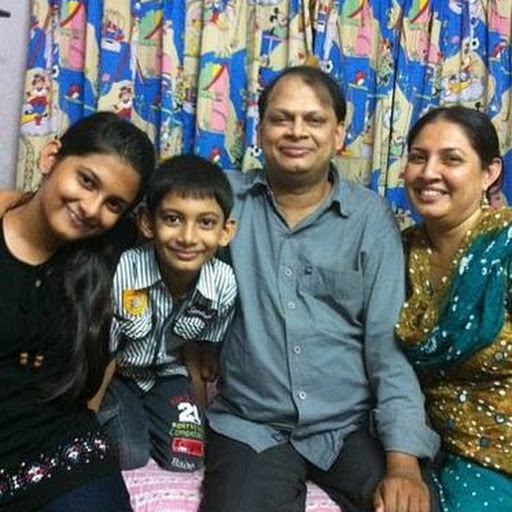 This snap is taken when Dr. Vivek V. Ranade (Dy. Director, National Chemical Laboratory, Pune) visited our institute. Interaction with him helps me to gain the lots of aspects in various fields...... — with Rajesh Kumar and Uday Bagale at NIT Warangal. Dr. Vivek Ranade, Deputy Director, CSIR-NCL honouring Dr. A.S. Jadhav on his superannuation. Tridiagonal Solutions Chairman of the Board, Dr. Vivek Ranade wins fellowship of Indian Academy of Sciences. He is one of the two scientists from the National Chemical Laboratory (NCL), who have been elected as fellows of the Indian Academy of Sciences, Bangalore. Dr. Ranade is currently putting together research programmes related to speciality chemicals and energy industry. He has made significant contributions in enhancing the understanding of flow, mixing, heat transfer and chemical reactions occurring in industrially relevant flow processes. 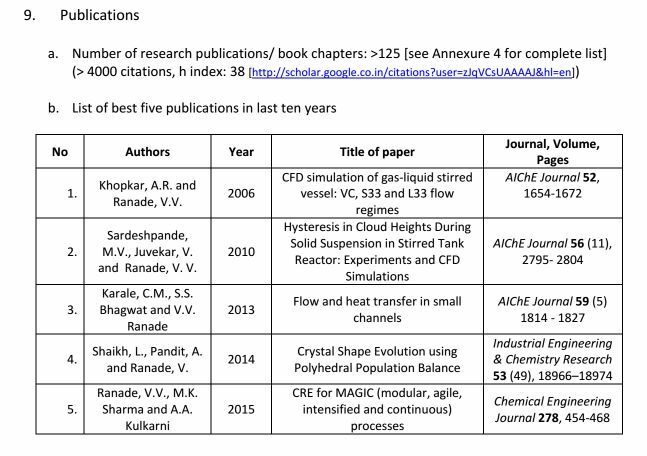 He has also written a book, ‘Computational Flow Modelling for Chemical Reactor Engineering’, which was very well received by the reactor engineering community worldwide. His contributions to the area of chemical engineering have been recognized with several prestigious awards and fellowships, including Bhatnagar award in engineering sciences.